Lifestyle Planning – What is it? When we met Bob and Irene they were 65 and 57 planning to retire in 3 months. They had been working towards and waiting for Bob to reach 65, thinking that they needed to, financially. We started by modelling their current situation into retirement, without taking any further advice – what they could expect as income, how long their wealth was likely to last and their entitlement to Centrelink Age Pension. It actually looked quite positive and they were pleased with the possible outcomes. In the next meeting, we outlined a number of strategies that they could consider to better position themselves for retirement and to access Centrelink benefits. They were amazed at the impact of these strategies and wished they knew about them sooner. They would have possibly retired earlier. Our advice added over $27,000 of income per annum. 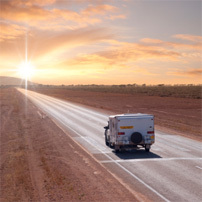 In addition to key strategic advice, we developed a cashflow structure that reduced complexity and concern about their spending in retirement and mapped out a travel budget for their vast caravanning plans. We have ensured that their estate planning reflects their wishes and directs the right assets, to the right people at the right time and their investment strategy to protect and grow their retirement assets is conservative and appropriate for their life stage. In our experience, many pre-retirees are not aware of the planning opportunities that apply to their generation or indeed how much wealth they will actually require to fulfil their lifestyle needs. There’s a significant opportunity awaiting many Baby Boomer Australians.